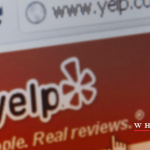 Home » Have You Considered There Are Two Types Of Law Firms? 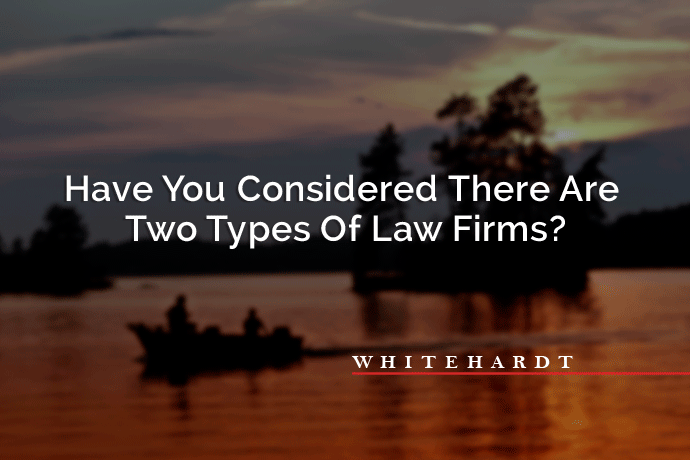 There are two types of advertising law firms: Sport Fisherman and Commercial Fisherman. Sport Fisherman are numerous and comprise most of the industry. They go out with their buddies on hired boats, drink beers, get sunburned and slap each other on the back. They hope for that “BIG Fish” or the “whale” that they can bring into the law firm, get a signed contract, work two or three years, try the case and one day put a big fat fee in their pockets. Sport Fisherman are everywhere! Phone books (yes, still phone books), billboards, runners (what is a runner? Like a person who runs? lol might we mean – word of mouth – here? ), accident scenes, hospitals, police precincts, state trooper barracks, courthouse handshakes – wherever a lead can be generated or a case can be signed. Right buddy…have you tried settling a soft-tissue case that has over treated? Commercial Fisherman, on the other hand, will look at every fish in their net, no matter how small. Every morning, the Commercial Fisherman rises to inspect his boat and tend to his nets. In our case, the boats and nets represent his legal practice and the advertising venues that he employs. He will utilize television, internet, radio, wrapped vehicles, billboards, etc. All of these are amid the many tools at his disposal. Throughout the course of a business day, our friend, the Commercial Fisherman, inspects the fish as they are brought on board. He makes a “triage” decision as to whether or not it is worth the effort of bringing the fish back to the mainland. Once there, the fish will be cleaned, gutted, cut and fileted. In time, the fish will be cooked and ready to eat. It is a lot of work, and it continues day after day, and year after year. The Commercial Fisherman does not fear work; in fact, he’s not looking for a quick, easy win. Some Commercial Fisherman become so well-known that their “boats” are revered and their fishing techniques are applauded and often copied. The beauty of working for a Commercial Fisherman is that there is plenty of food. Everyone eats; whereas, the Sport Fisherman can often go hungry or certainly experience some lean periods between the marlin and whale fishing. A healthy Commercial Fisherman law practice will generate little, but edible, fish 85 percent of the time and bigger fish 14 percent of the time, like Tuna, that will provide a great deal of sustenance. The remaining 1 percent of the time the whale will call for an “all hands on deck” approach. You could go after the “big” prize and possibly, but not likely, come home with 1,000 pound fish, OR you could consistently come home with thousands of one pound fish. The choice is yours. 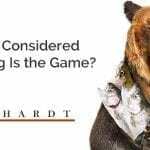 Our CFO and lead consultant, Felix Eckhardt, is ready to help your law firm reach your financial and business goals. Call us today at (615) 577-1010 to set up time with Felix to discuss your practice. For more information, visit the law firm consulting page of our website.